The Minister of Transport Dr. Jabara bin Eid Suraiseri yesterday signed 68 contract within the Ministry's projects approved this year in the field of implementation, maintenance and electrical work, study and design and computer in all regions of the Kingdom with companies and national institutions, with a total value (5.595.570.833) riyals. 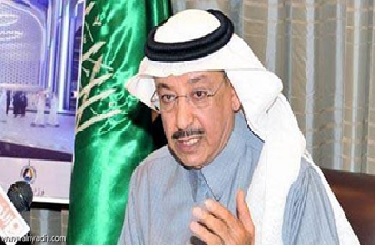 He explained in a press statement yesterday that the projects are part of the projects that were adopted in the budget for the current year, which was launched immediately after the budget in line with the style of the ministry to ask the projects approved for competition and force in the same year, which depend in it, pointing out that he will be successively signing contracts the rest of the projects approved for this year. Dr. Suraiseri stressed the importance of implementation of the projects of the ministry in the times specified in the contracts, stressing that the ministry is keen on the implementation of projects by the periods specified in the contract according to the specifications and they will not hesitate at all in the application of the system on each of proven violation. The Minister of Transport thanks to the wise leadership on what the transport sector receives from the support and care, praying to God to preserve this country's leadership and its security and its safety. - Jeddah / Mecca Highway Link (Phase II) with a length of 16 km in the amount of 300 million riyals.